(Hayern Aysor) Armenia Marriott Hotel Yerevan staff members, led by the General Manager of the Hotel, Hendrik Beye, joined the Fuller Center for Housing Armenia team in the Pokr Vedi Village of Ararat Region to help build a home for the young family of Grigoryans. 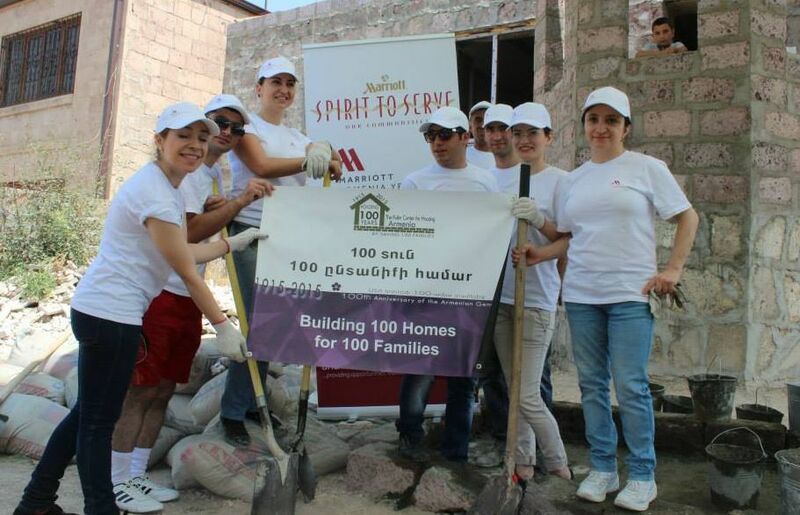 It’s the seventh straight year that the Armenia Marriott Hotel Yerevan team has helped build homes for Armenian families. To read the complete story in the Hayern Aysor, click here. View photos of the project from Fuller Center Armenia.